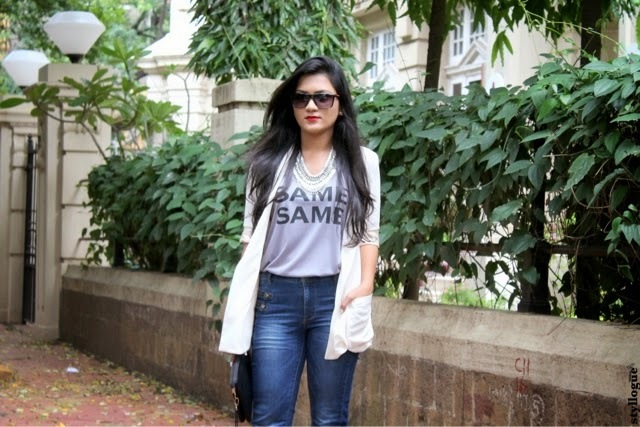 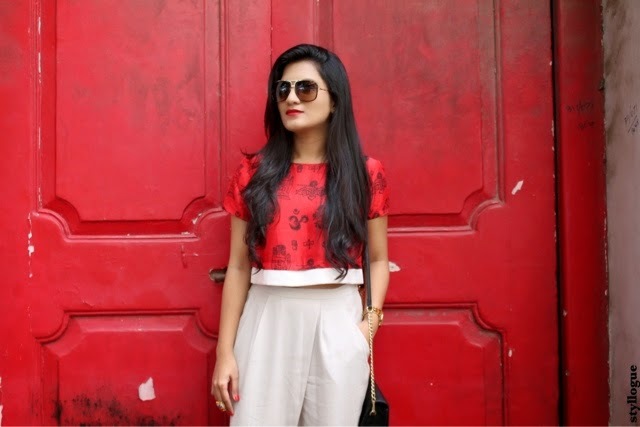 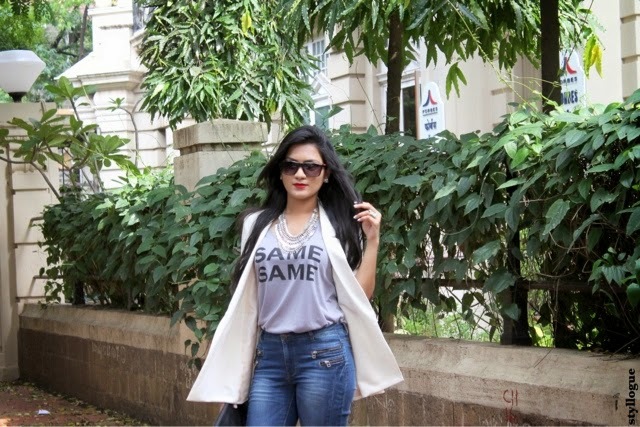 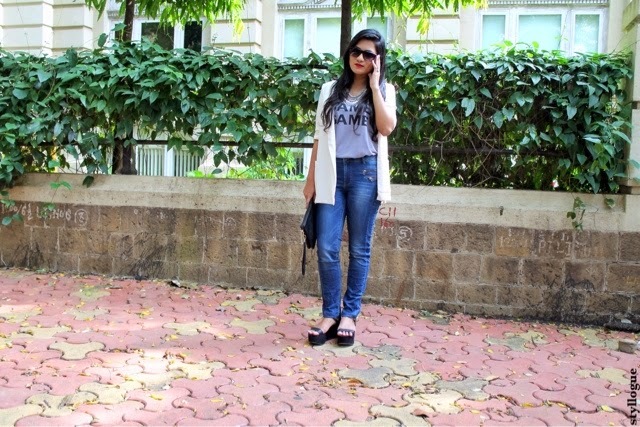 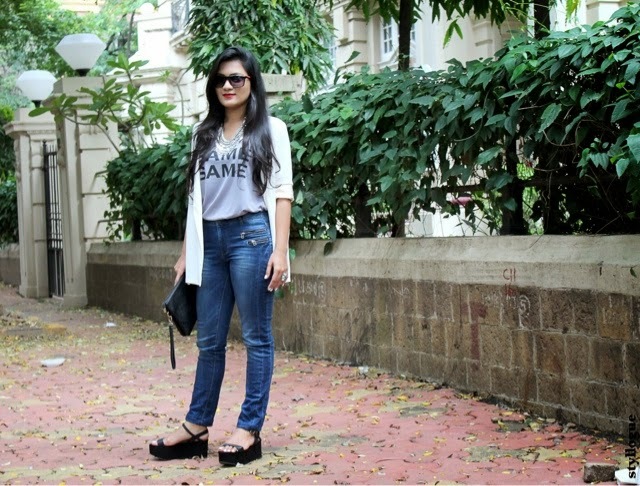 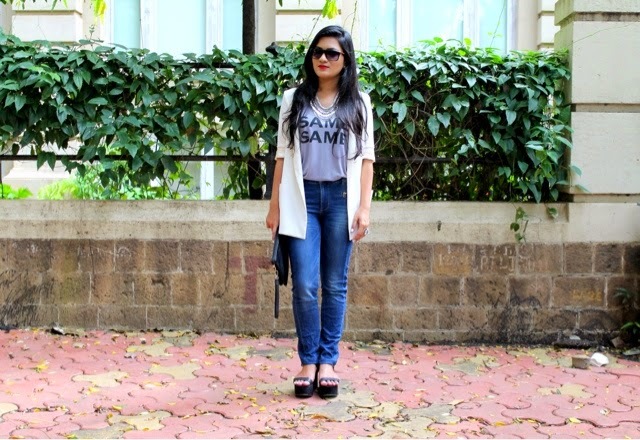 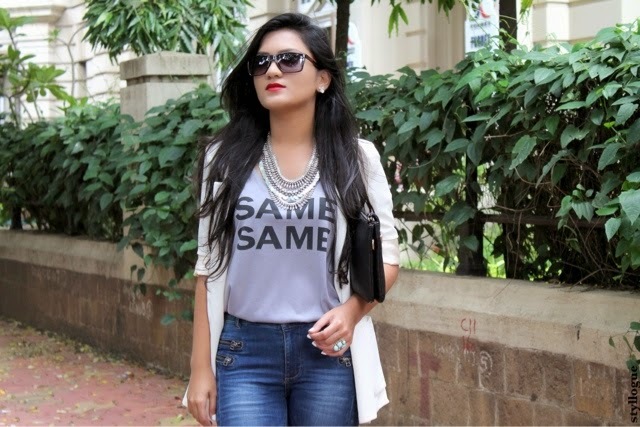 After a really long time I am back to layering blazers on the blog. 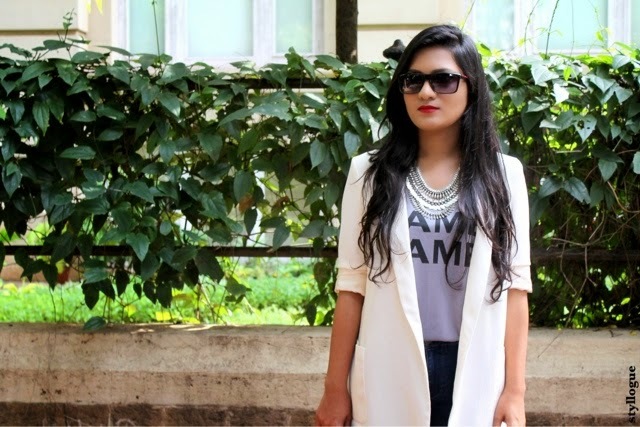 Its not time yet to get the fall blazers out, at such times a light weight thin fabric blazer is a suitable alternative. 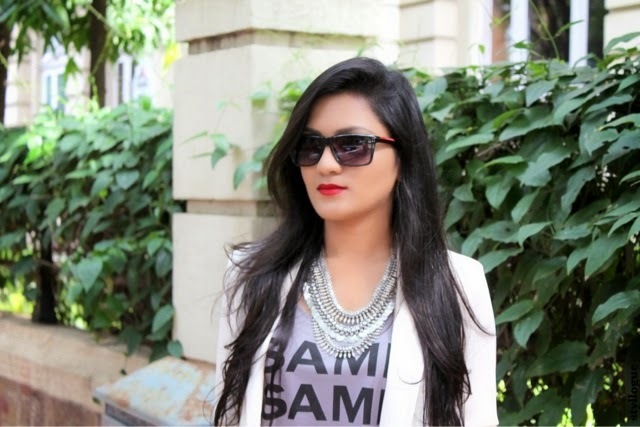 This white blazer is one of my recent sale finds. 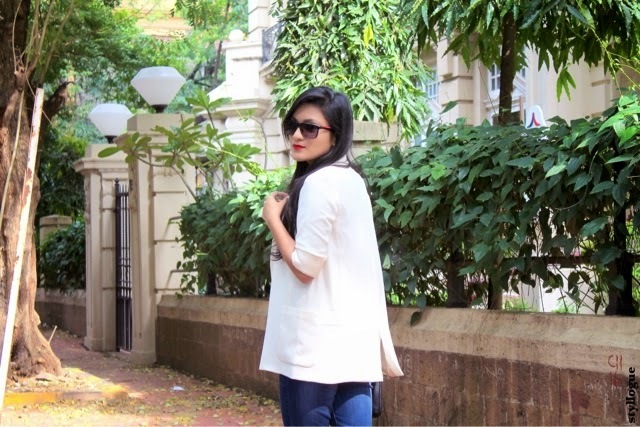 I was not very keen on picking up a white blazer but the long lapels, the blazer’s length and especially the light fabric which makes it very monsoon appropriate caught my interest.